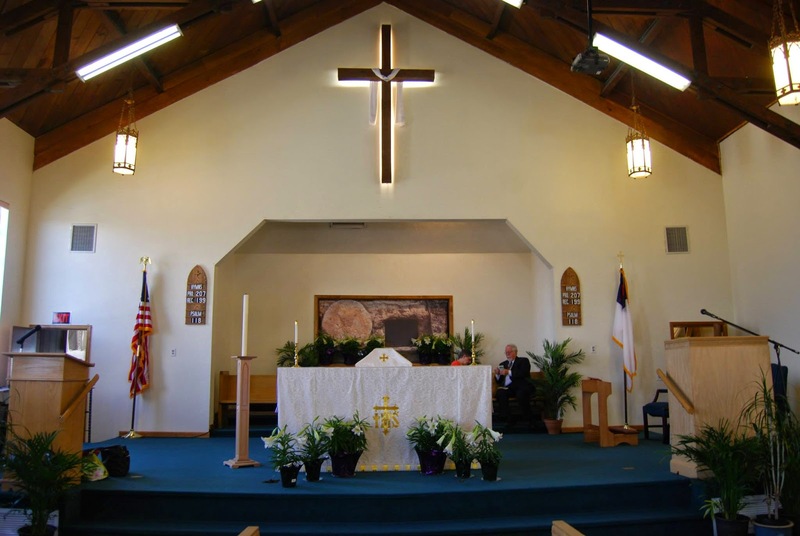 St. Peter's Anglican Church in Cheyenne, Wyoming ordered a canvas banner for their Easter service. 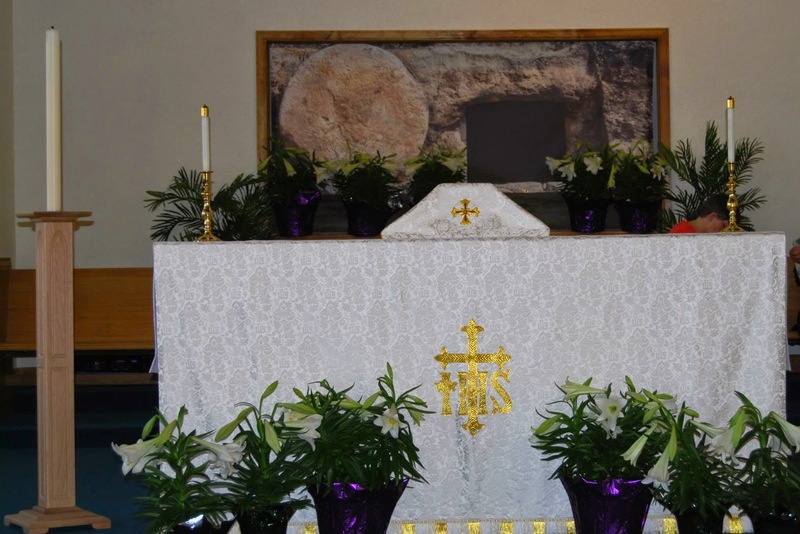 Marcos, Attached are pictures of the banner on Easter Sunday at St. Peter's Anglican Church in Cheyenne, WY. The congregation loved it! Thank you and all your staff. We are an Anglican church that purchased the building from a previous Baptist church. Therefore the area behind the alter with the 'window' opening is where their baptismal was. Anglican's are not known for full immersion baptisms, but we have used it for that purpose several times. Most of the year it has just been an open framed 'window' to a blank wall. Your banner worked so well that we may be ordering different images in the future. Thank you for sending over your story and the pictures from your Easter service! If you need any custom banners for your church, visit our church banners page to view or templates or to upload your own artwork files.